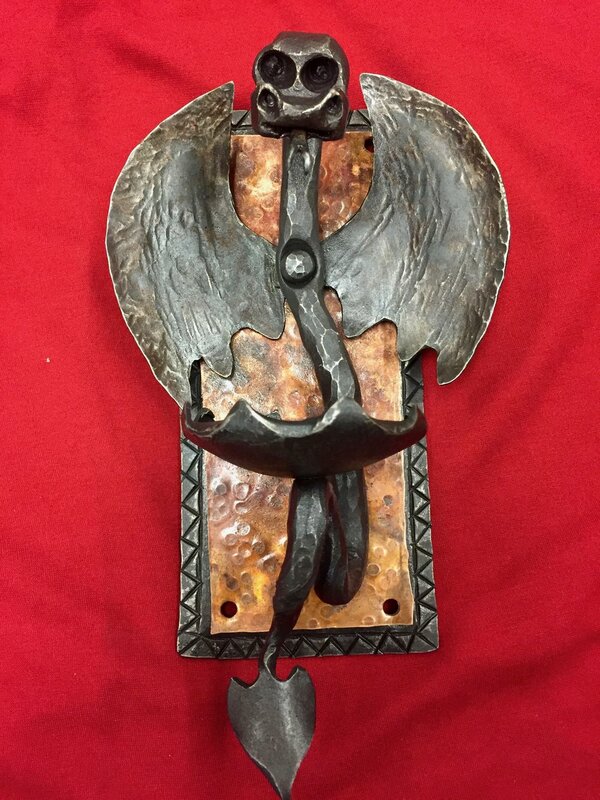 Forged steel, entry latch. Solid steel. 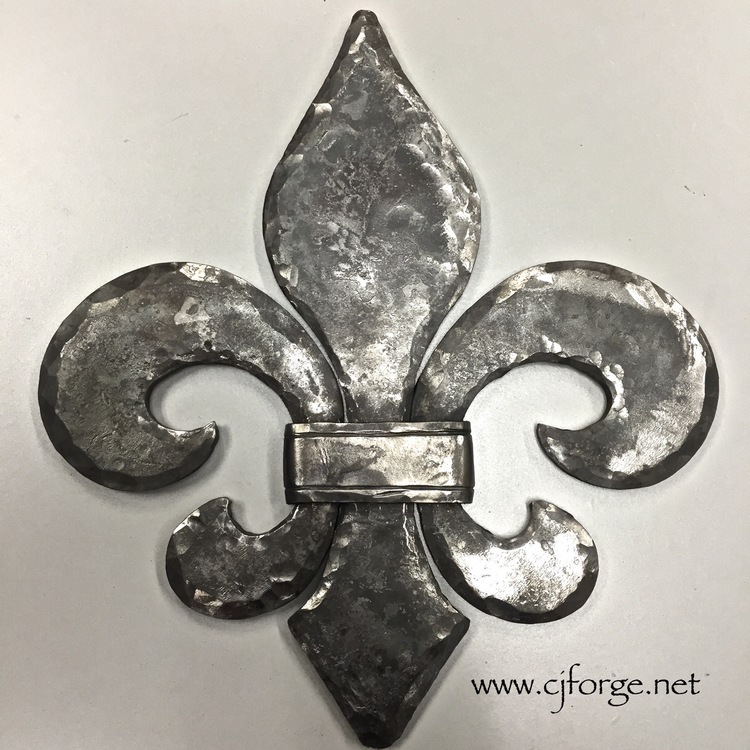 Hammered copper, forged steel, classic design. Beautiful arched scroll panels for a wonderful client. 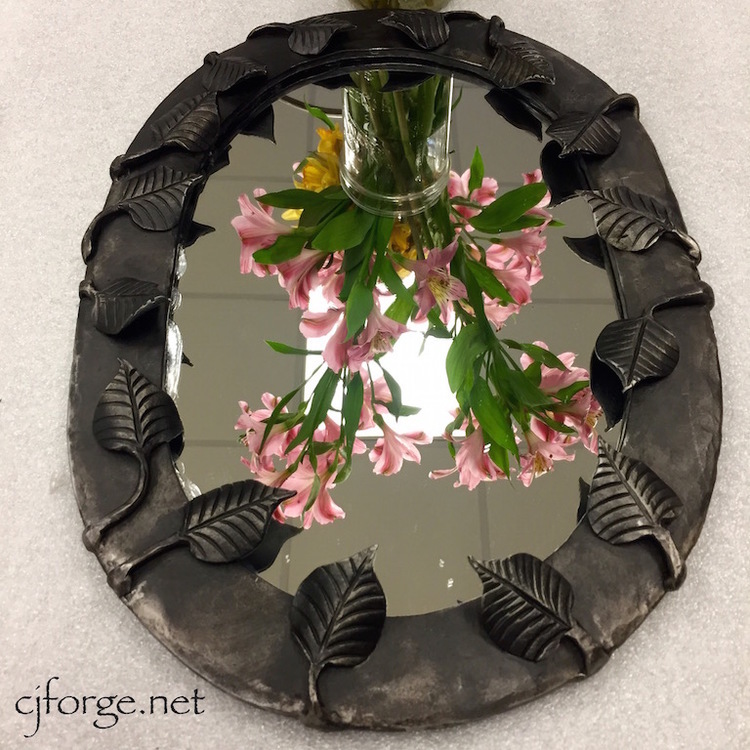 Angle frame, forged copper & steel. Leaves, flowers and tendril wraps. All steel, fit for any cellar. Hand forged, double ball, all steel. 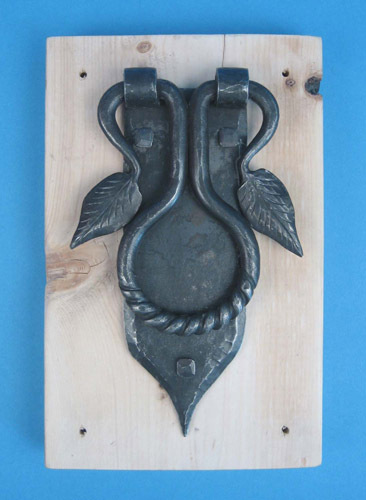 Hand forged featuring chiseled collars & hooks. Fleur-de-lis. Leaf Mirror. Custom Beer Tap Handles. Iron Cross, Art Deco Lighting, Serpent Sculpture. 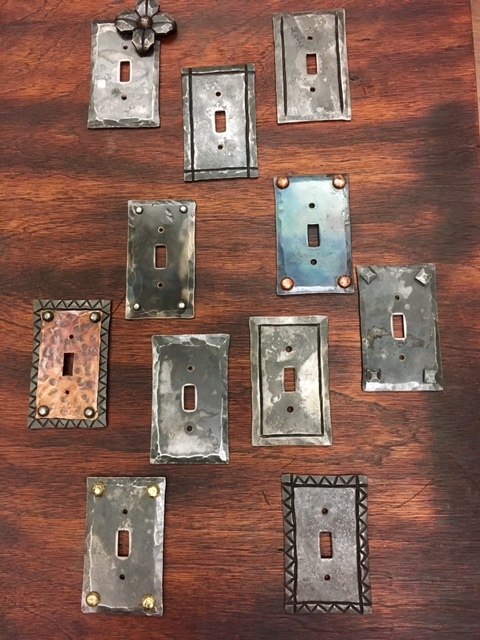 Above: Copper Flower Box, Twisted Door Knocker, Switch Plate Covers.